City of Villains is a massively multiplayer online role-playing game based on the superhero comic book genre, developed by Cryptic Studios and published by NCSoft. Released on October 31, 2005 (Halloween), the game is integrated with their previous release, City of Heroes. The gameplay centers on defeating a variety of computer controlled opponents within a three-dimensional world using various powers and attacks, sometimes with the help of several other players. 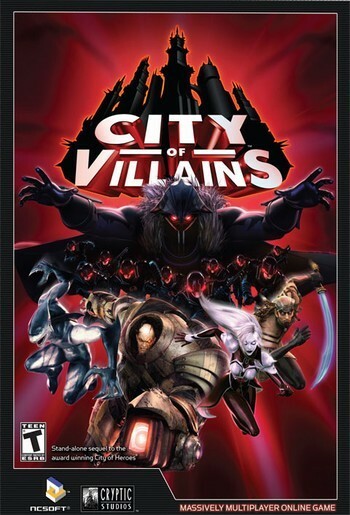 On July 16, 2008, NCsoft merged the two games' content together; thus a player who only owned City of Heroes could now play City of Villains, and vice versa. Prior to this, a purchase was required to access either game's content, but they were linked by one account and subscription fee. While both games are considered the same title after the merge, City of Villains still enjoys many improvements from the merged features while still receiving improvements on its unique zones and player features that are not accessible on City of Heroes.